Fenwick Newcastle is one place that really knows how to make Christmas simply magical and this year will be no different as the department store launches its own ‘Santa on the Rooftop’ adventure. From Saturday 3rd November, ticketholders will be escorted by an elf from the lower ground Christmas hall enjoying a fairytale-like journey before meeting Santa in his cabin. The first stop is Santa’s Boot Room, sponsored by leading heritage and lifestyle clothing brand Barbour, where Santa’s little helpers can wrap up warm and enjoy the ultimate Instagram moment posing for the camera before stepping onto the roof past the elf vehicle park. The festive adventure continues through an enchanted forest to Santa’s Cabin where the head elf will welcome families inside to meet Father Christmas. Those on the nice list will then have special access to his workshop through a secret door, where they can help his elves with festive crafts such as making snow, decorating cookies and painting toys. After helping the elves, guests will step back outside into a magical snow flurry where they’ll find the Tree of Lost Mittens. Children can make a wish as they return the misplaced mittens that they’ve found hidden along the way. To round off their magical Christmas experience, visitors will be able to relax in Café Claus with a hot chocolate, or for the grown-ups, a warming mulled wine. 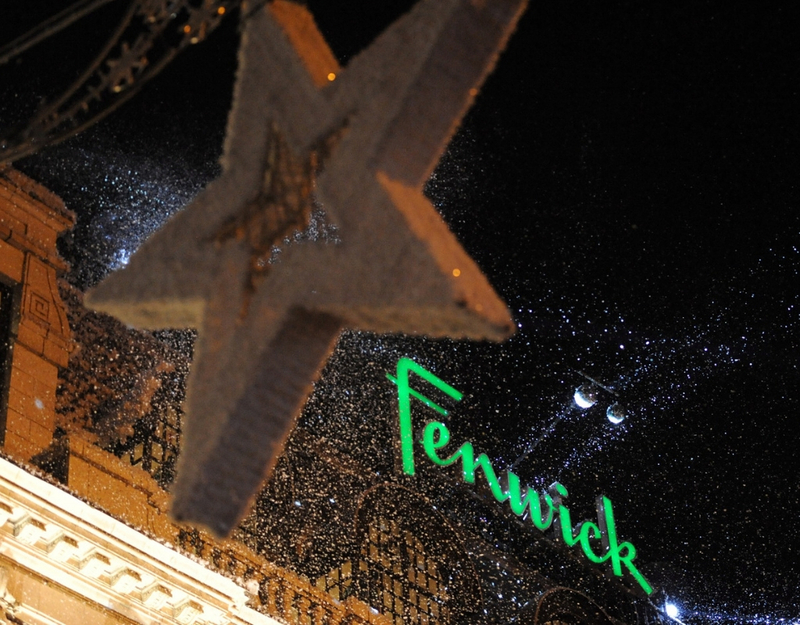 Carl Milton, Store Director at Fenwick Newcastle, said: “Before the excitement of the curtain drop to reveal this year’s Fenwick Christmas Window display, we are thrilled to announce a series of bespoke events in celebration of Christmas, with the first being our fabulous winter rooftop experience. Replacing our grotto attraction, we hope to capture the hearts of families and add a little extra sparkle to festivities in the region. Fenwick Santa on the Rooftop is a 45-minute magical experience for a small group of up to six people running every day from 3rd November until Christmas Eve. Priced at £11.50 for adults and children, tickets will include the Santa on the Rooftop experience with a donation over the Christmas period going to Street Zero, Newcastle’s Citywide collective approach to ending rough sleeping.